This will be our first full winter in the Virginia Highlands, where it gets “upstate New York cold.” For the past few weeks the sound of chainsaws and log splitters has been a constant drone in the background of the valley atmosphere, as the locals are getting ready for intense global cooling. Me too. 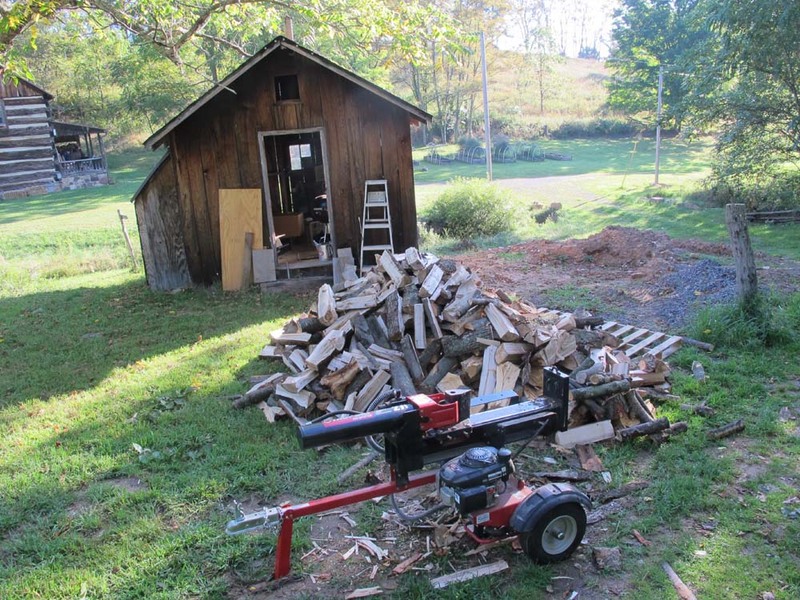 In addition to the firewood already stacked in the storage shed next to the cabin, other piles of split wood are growing around the homestead. Last winter was perhaps the coldest in a century here, and the woolly worms, walnut trees, and Farmer’s Almanac are all projecting an even colder winter this time around. 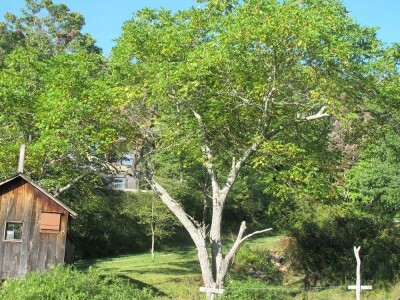 Walnut trees? Yep, by mid August they were already turning yellow and the leaves are now falling in a constant wave. Hence, concerns for an even worse winter. That would be pretty brutal, as at least on three occasions last winter the dusk to dawn temperature here in the holler was 20 degrees below zero. Given the cold-nature of my bride the need for firewood and lots of it is riding high at the moment. Yesterday was one of those times when I hunted and gathered firewood. 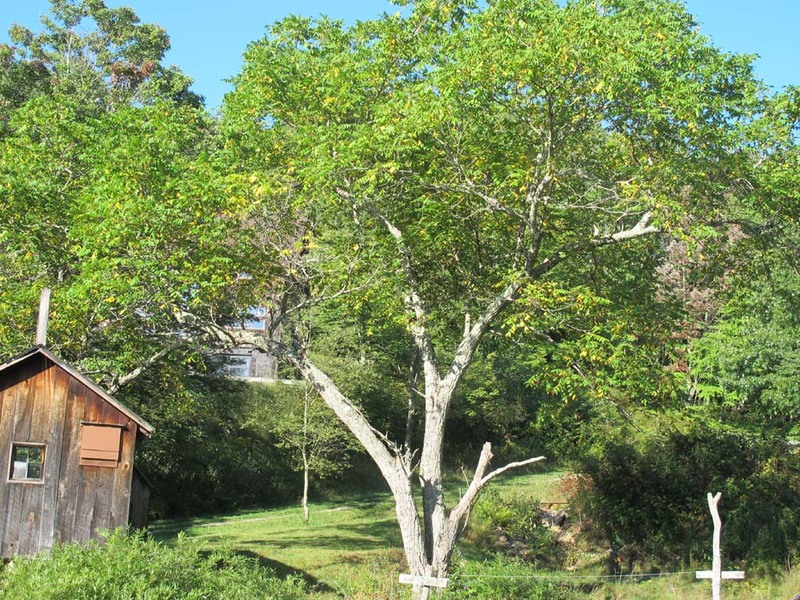 In the morning I went to my friend Mike’s farm and he cut down two trees, one maple and one beech and helped me load my truck to the gills. I’ve never bottomed-out my 4WD s10 before, but it was yesterday. When I finished splitting that (our altitude lets split wood dry really fast!) I went up the hill to work on a giant maple that fell last winter. So far it has yielded two truck loads and will probably get another two by the time it is all done. For scale, the log on the ground is 16″ by about 15 feet long, and the larger of the two trunks still on the root ball is about 24″. 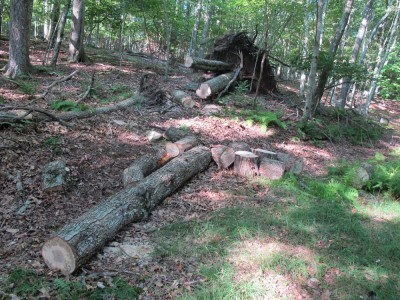 It’s stretching my 14″ Stihl chainsaw to the limit. It might be time to get another, larger one. But for now as long as I keep the chain sharp it is doing okay. 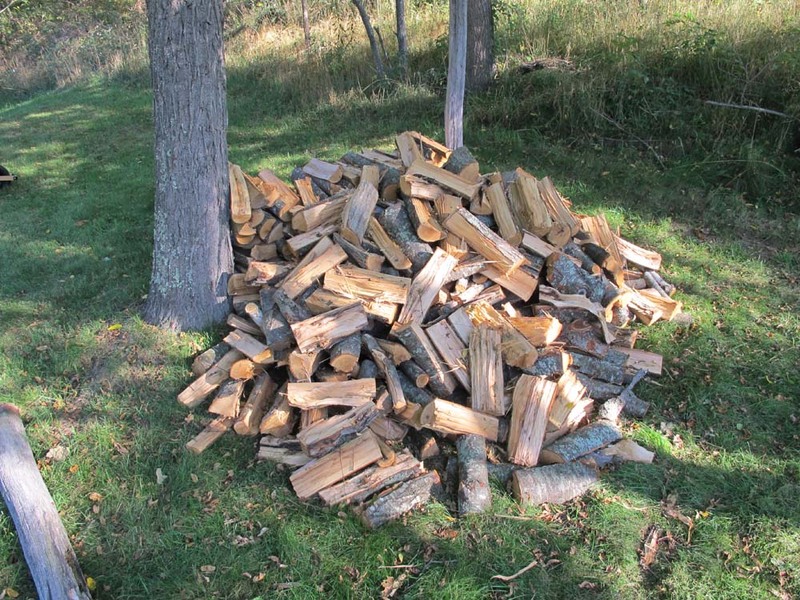 How much wood do we need to keep the home fires burning non-stop for five-plus months? We will find out, but the other night at Bible Study one of the fellows indicated that he had put up 19 cords of wood. I certainly hope he needs a lot more than we do. Otherwise I am only about 1/3 of the way there. Fortunately(?) I want to clear more space on the south side of the barn for more winter light, so a bunch of trees will be coming down next week.